Hey Brad!!! I love the screen name! My best to you and I hope to see more of you down the line. I love the name too. 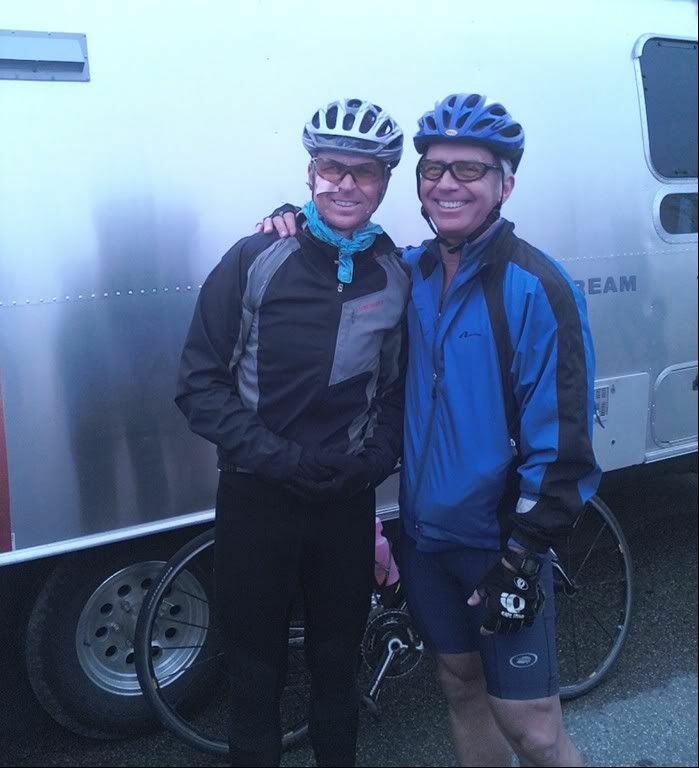 Why did you have blood on you when you finished the detour? No one else did! Were you just having fun? Thanks so much for coming to join in the fun! We were missing you both on the race this week, so we were glad to get to see a little bit more of y'all at Elimination Station. That ceremony looked awesome! Can you tell us any more about the lanterns? That was a beautiful sight. Thanks for all the love we have been getting here...we hated to go so early, but you guys have made it a lot easier. I know that this question sounds so silly, but I can't resist the urge to ask! We DID have to shoot multiple head turns, but thank God they edited them out. You can just barely see Vic turning her head in ours. 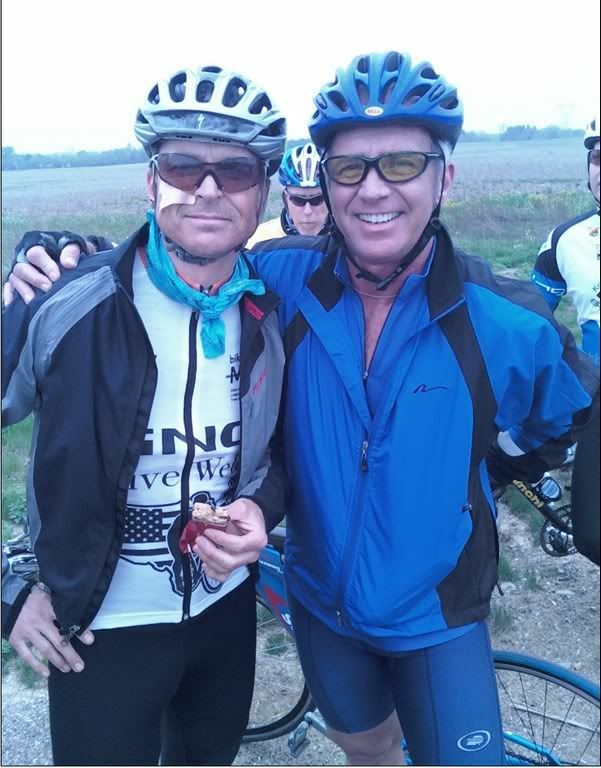 Brad got an amazing start to his BIRTHDAY today when he was able to join Phil for the next leg of the Phil Rides across America biking fund raising drive for MS, in Columbus Ohio. And looking extraordinarily fine doing so too!! HOPE YOU HAVE A PERFECTLY WONDERFUL DAY!! Is that a Band-Aid? What happened to Phil's face? 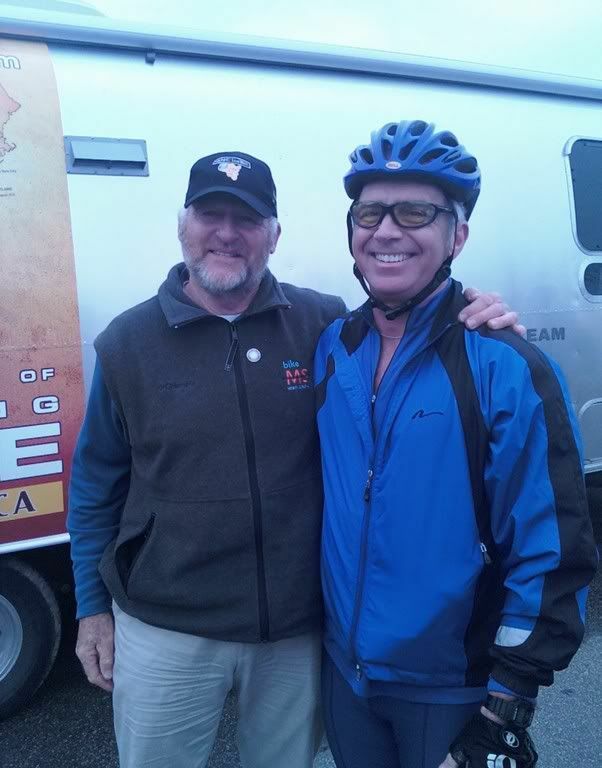 If you head on over to the Phil Rides Across America thread, you'll find out that Phil has been struggling in his ride. Happy birthday Brad! Even though I am extremely late! Thanks to all for the Birthday wishes and a special thanks to Phil for riding his bike all hte way from California to be in Columbus on my special day. ...and for those of you that will be at TARcon next week - I am looking forward to meeting you. Please don't be shy - come up and introduce yourself. Hey Brad! Visit the Racer's Corner if you want to! Looking great as always Brad! You have the whole package going and are giving Phil a run for the title of the best package! You can see the whole video on philridesacrossamerica.com (Day 33), but here is the bit we see on camera of Brad riding with Phil!! I was watching "Extreme Cheapskates" on TLC and they had a woman named Victoria from Ohio, and, sure enough, I confirmed that it was Victoria from TAR14. What does everyone else think about Victoria in the episode? 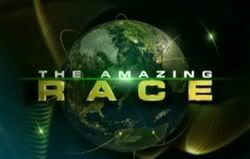 I was shocked and revolted by the episode. Peeing in jars is not for me. Just saw a vid of that, slayton. But there's another man...? Yeah, I didn't realize that Brad & Victoria were no longer together, until they showed her boyfriend on the show. Why... wasn't she this entertaining on the race? Seriously I only remembered them for flying to Timbuktu getting stranded in Amsterdam while flying to Romania.